The Stripers are feeding heavy in the backs of coves early morning. As the sun comes up and the bite slows down, start working your way out towards the mouth of the coves pulling live shad. 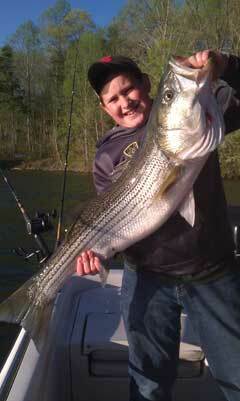 The Stripers are feeding really good on large Gizzard Shad now.